Shelvia J. 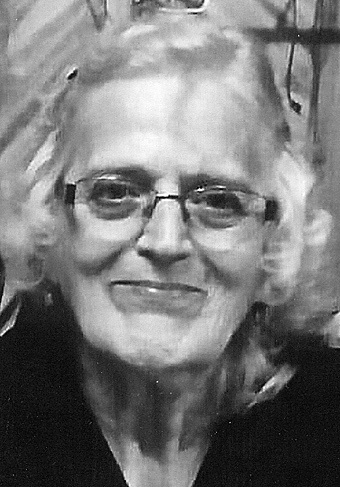 (Geraty) Bechdel, 77, of Mill Hall passed away Sunday morning, April 7, 2019 at the Gatehouse in Williamsport. She was born in Lock Haven on July 31, 1941 a daughter of the late Theodore and Emma (Bair) Geraty. Shelvia was married on June 13, 1983 to Lynn A. Bechdel who died December 23, 2008. They celebrated 25 years of marriage together. She enjoyed gambling; especially lottery scratch offs, and also crafts. Surviving are one son, Darryl McDermit, Sr., of Bellefonte; a daughter, Kimberly J. McDermit of Mill Hall; five grandchildren, Darryl, Shelvia, Cody, Austin and Harmony and also nine great-grandchildren. Also surviving are two sisters, Mary Catherine (Robert) Powell of Gettysburg and Wanda Loeffler of Lock Haven. She was preceded in death by a son Phillip McDermit in 2003; a daughter Mary “Cathy” McDermit in 2006; a brother Richard Geraty, and also a sister Patricia Lang. A Celebration of Life Service will be held from 11 a.m. – 4 p.m. on Saturday, April 27, 2019 at the Hilltop Tavern, 90 Second Ave., Lock Haven. Private family interment will be at Rest Haven Memorial Park, Lock Haven. Memorial contributions can be made to the Gatehouse, 1100 Grampian Blvd., Williamsport, Pa. 17701. Helt Funeral Chapel, Mill Hall has charge of arrangements. Online condolences can be sent to MaxwellHelt.com.